Join the GEF Honor Roll to have a long-lasting and sustainable impact on the future of our community’s greatest assets, our schools! 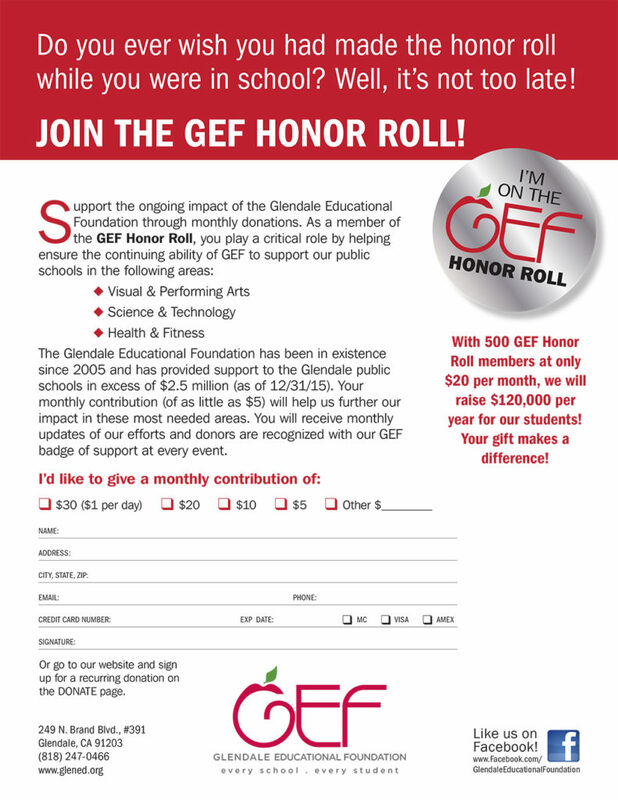 As a member of the GEF Honor Roll, you will make a monthly contribution which will help support Glendale students at five high school campuses, four middle schools, 20 elementary schools, a developmental center and a preschool. We appreciate the support of you and every community member who allow us to continue to improve the educational opportunities for our local students. 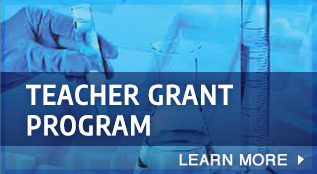 Please fill out the following form to provide a monthly donation to Glendale Educational Foundation. Thank you for your support.